It was not so long ago that we tried shooting blow guns ourselves for the first time and it was actually surprisingly fun to do. 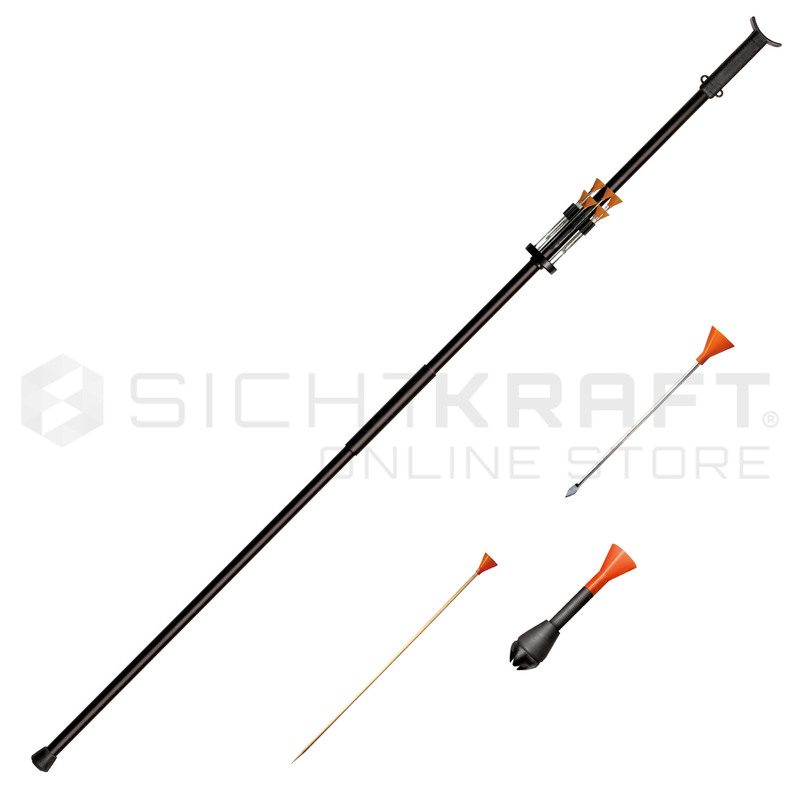 As an archer for over 20 years it surprised me how powerful a blowgun can be, and how precise, too. 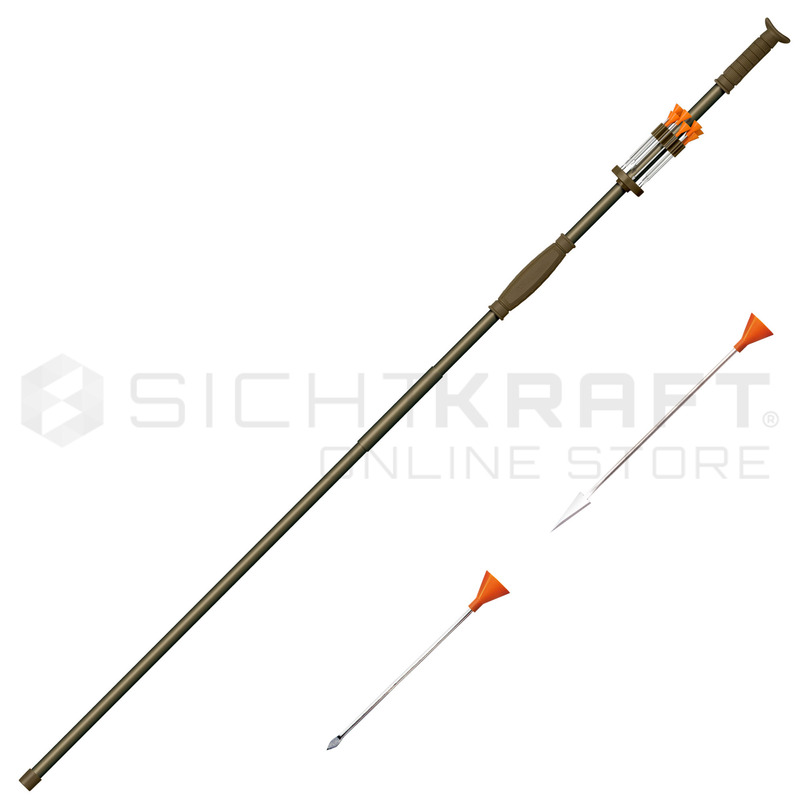 Granted, it doesn’t compare with a modern bow, even less with a compound bow. But on short distances up to around 20 – 30 m, it’s amazing to see what you can do with just the power of your lungs. And even if the precision decreases rapidly, you can actually shot as far as 50 or 60 m. Shooting with a blowgun is also something kids seem to like, and if you have safety concerns, there are blunt darts available for all models. 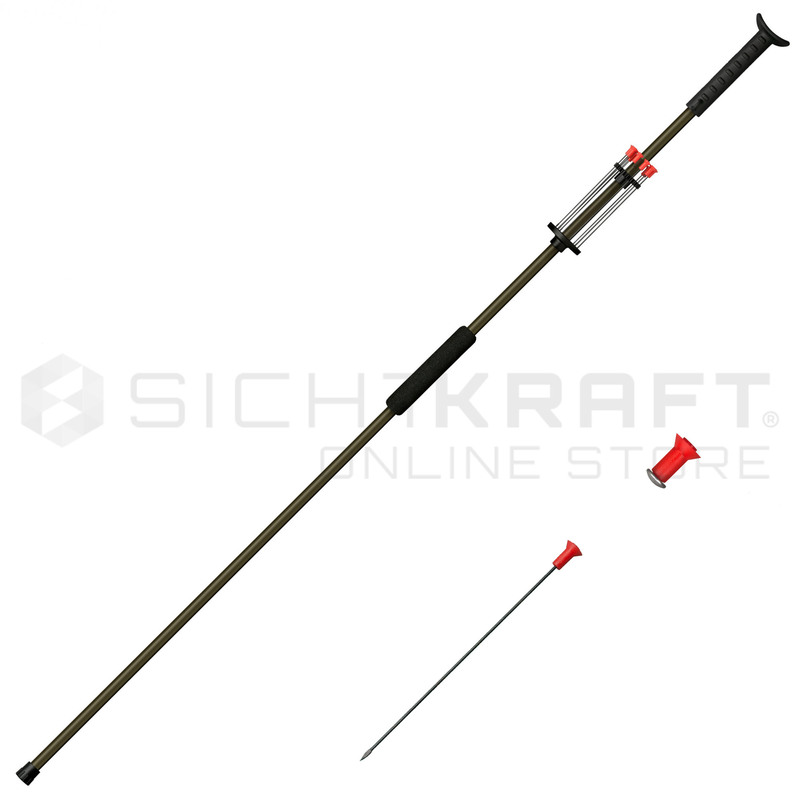 We now offer a variety of blowgun models from the well-known brand Cold Steel (https://coldsteelarizona.com). Because there are so many, I am going to try to go through them all and give you some idea what the differences and similarities are. Cold Steel offers two different calibers, .357 inch, which is 9 mm and therefore called “Magnum”, and .625 inch, which is 16 mm. The latter is called “Big Bore”. The caliber of a blowgun is not the diameter of the actual projectile that will hit the target but the diameter of the driver (the little cone at the end of the dart). The bigger that driver is, the more power you can transfer to the dart, which will result in a higher speed and a larger travel distance. 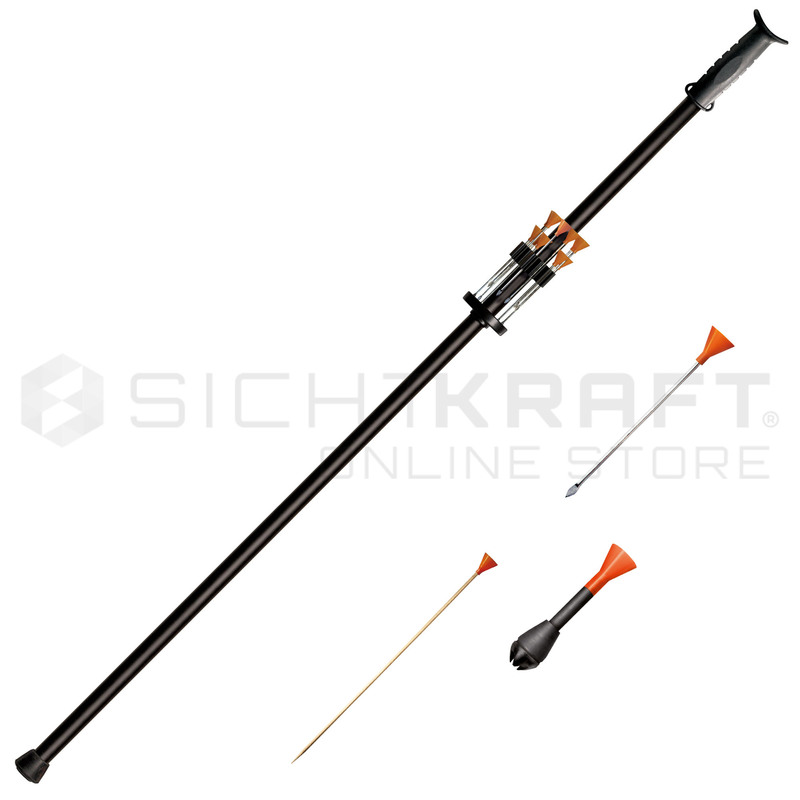 Of course there are limits to the size of a blowgun you can hold but more importantly to the amount of air you have in your lungs. 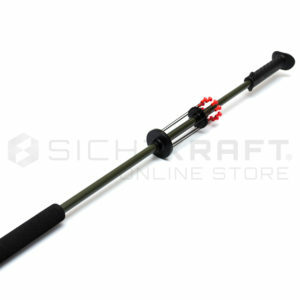 Therefore, 16 mm or .625 inch is a common caliber and usually the largest you will find. 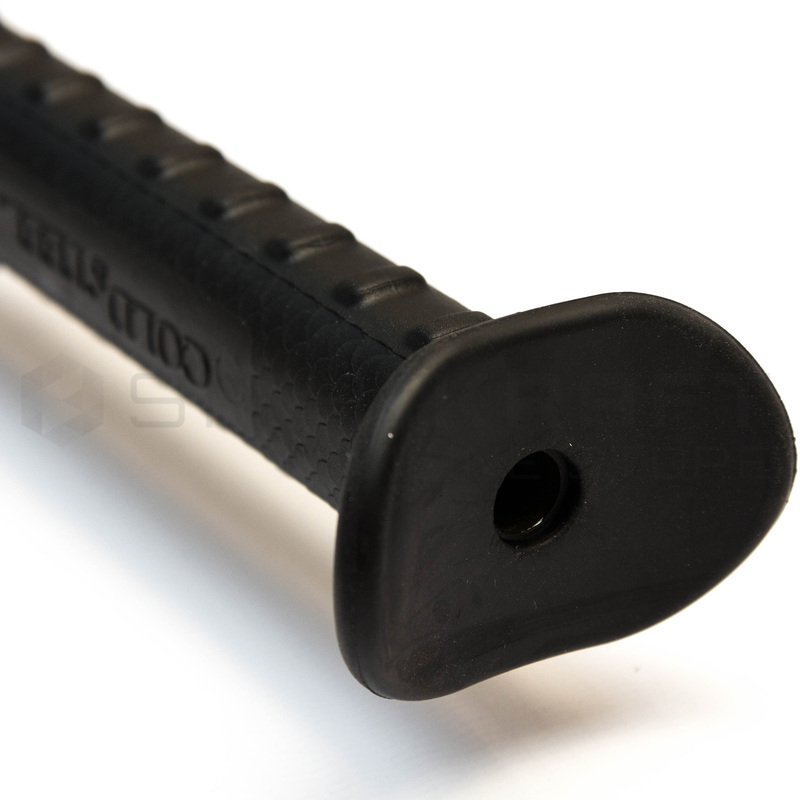 Cold Steel is a little unconventional with the choice of the 9 mm caliber, because .40 inch (ca. 10 mm) is more common for the smaller diameter blowguns. 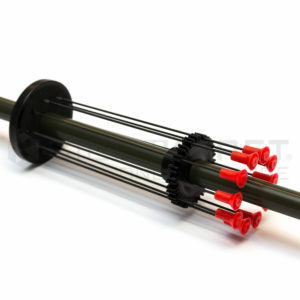 The 2-piece, five-foot take-down model is comprised of two tubes with threaded joints and a reinforcing coupling section. It is equal to a regular five-foot model in terms of stiffness, accuracy and long-range performance, but has the added advantage of being easy to disassemble and pack. There is also a difference in the mouthpieces, whis is more ergonomically formed for the 4 Foot Pro and 5 Foot Tim Wells Edition models. 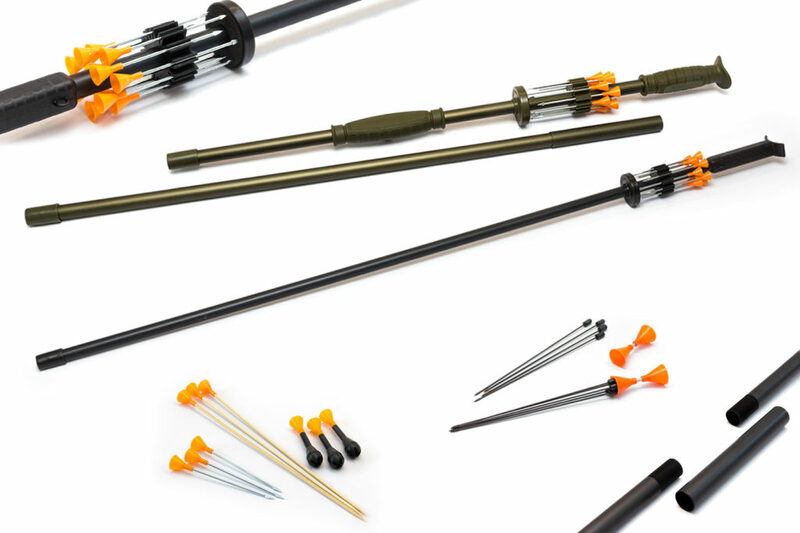 The Tim Wells Edition blowgun has an additional rubber grip in front of the quiver, that is unique for all Cold Steel blowguns, making it definitely the top-of-the-line product from Cold Steel. 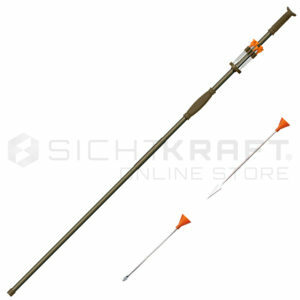 As it was meant for hunting, it is the only one that comes with some razor-tip broadhead darts and without bamboo and stun darts. 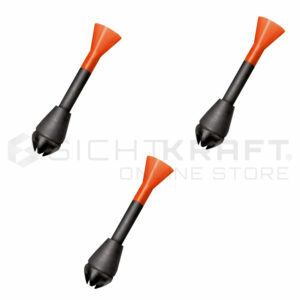 Also, it only comes with 10 mini broadhead darts instead of 15. 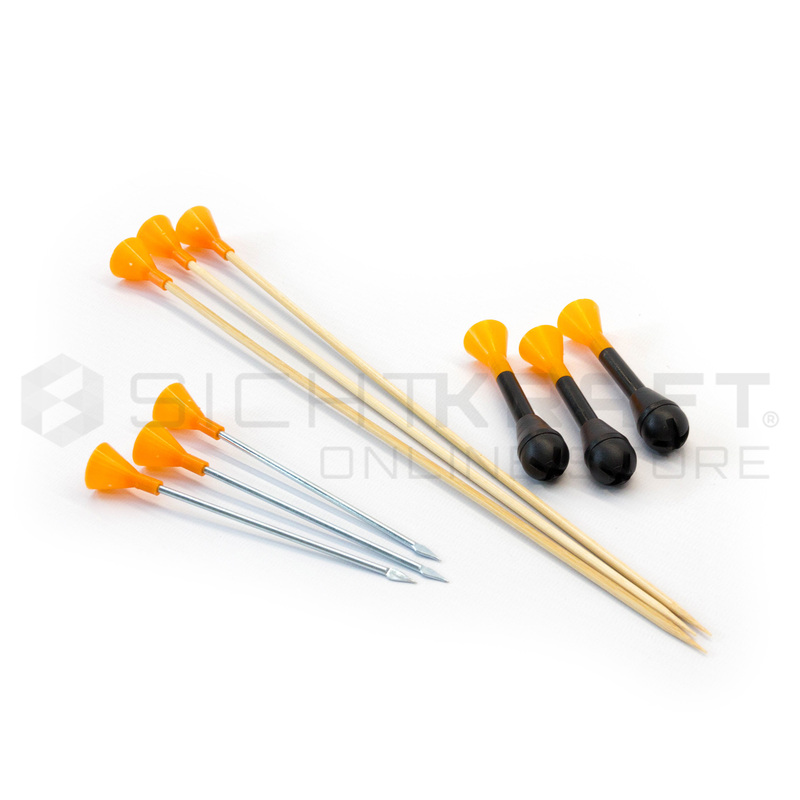 So if you like to use the Tim Wells blowgun for target or 3D shooting, you should consider getting additional ammunition with your order. 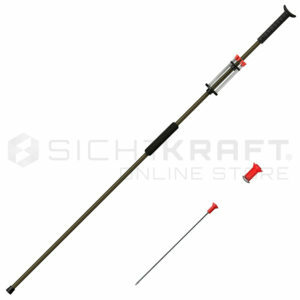 Like for the .357 model, there is plenty of accessories available for the .625 blowguns. 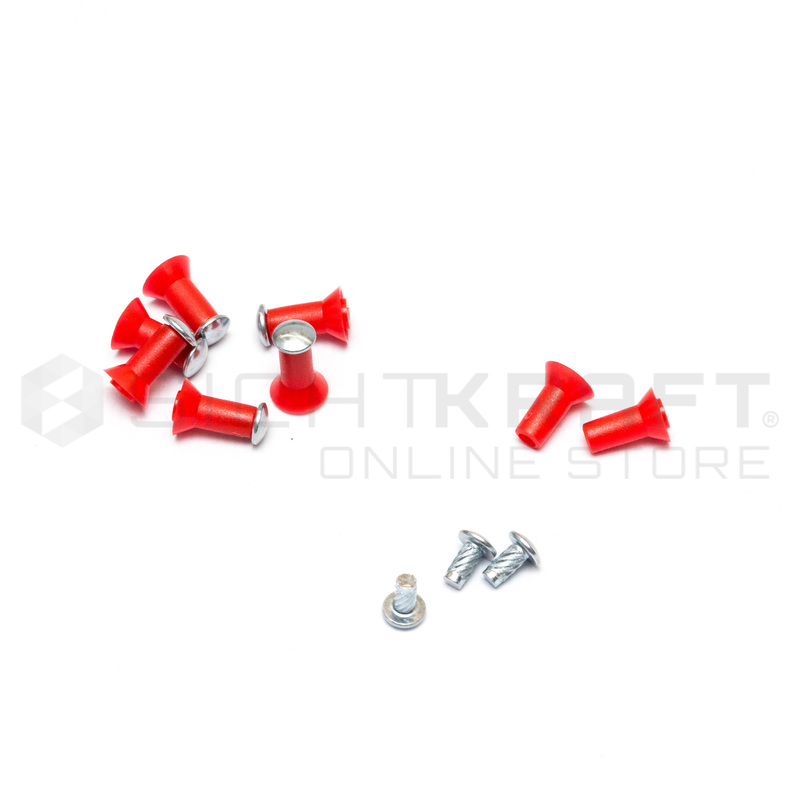 If you get any of the first three models, you are pretty much set with darts from the get-go, as you will recieve three different types of darts with the blowgun. 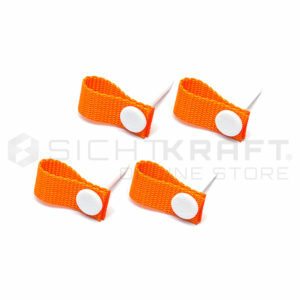 Anyhow, if you practice your shooting for a while, you will certainly brake some drivers when your grouping gets better. 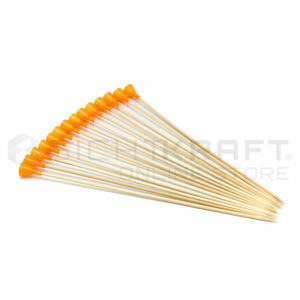 At some point, you will need more darts, which are available in packs of 40 or 50 and are relatively inexpensive. 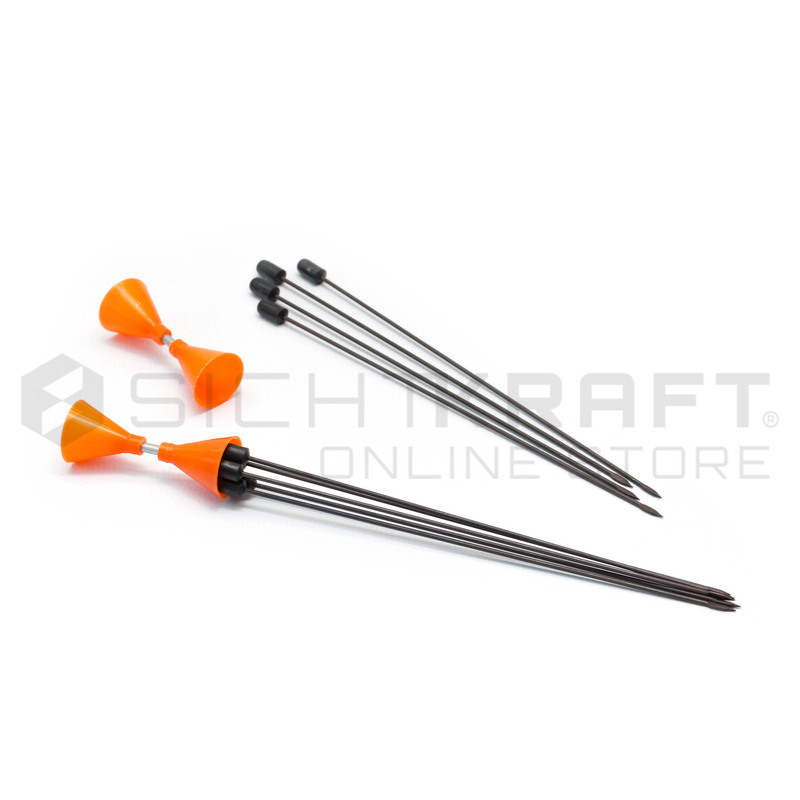 As mentioned, the razer-tip broadhead darts are only shipped with the Tim Wells Edition, if you want to try these out with the other Big Bore blowguns, you need to order them separately. The Multi Darts are not included in the box of any of the Cold Steel blowguns, but it’s a quite interesting type of ammunition. You have small darts that are in size similar to the ones of the .357 blowgun. The difference is: You can shoot up to 5 or 7 at once. They will hit in a spray pattern similar to a shotgun. The manufacturer gives us an estimated radius of 8 cm on a target around 10 m away, which we can back up based on our experience. It’s obviously meant for hunting, but shooting a handful of darts at once on an apple or some balloons is actually a lot of fun, too! What target to shoot on? 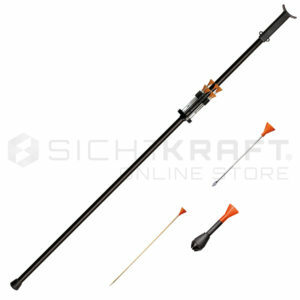 If you have your blowgun, the next question is of course, what to use as a target. You can of course shoot on empty cans in your backyard, or apples (like we did), but you might want to practice your aim on a real target. 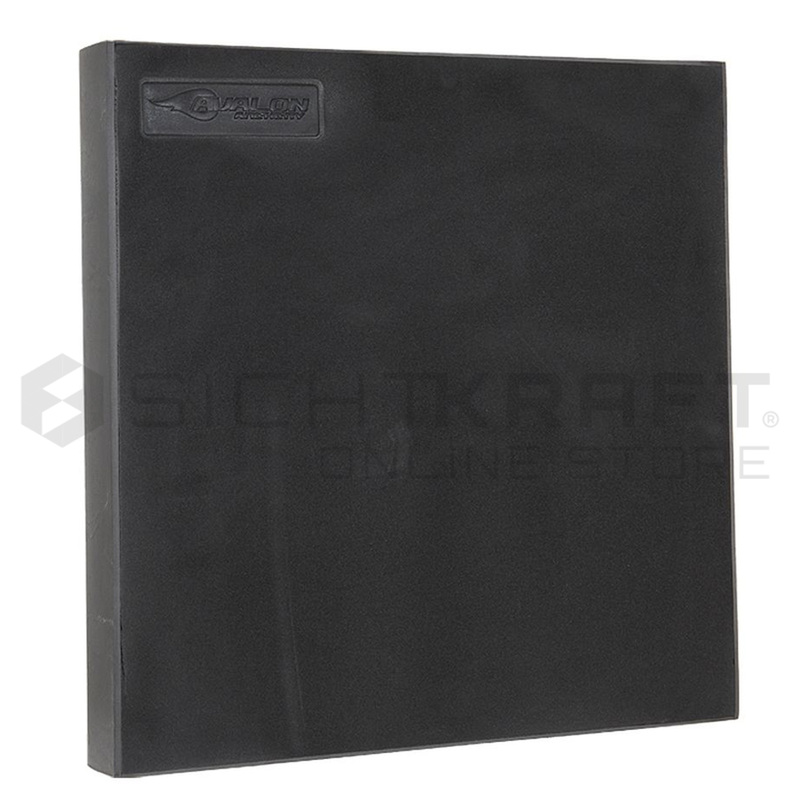 We offer professional grade foam target from Avalon, target faces and face pins. 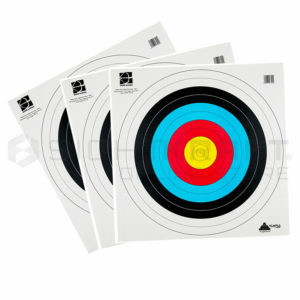 The targets are the same quality that is used for recurve and even heavy compound bows. The targets for archery are just thicker, usually 20 or 30 cm compared to 7 cm, but they use the same layered material and it is proven long-term. 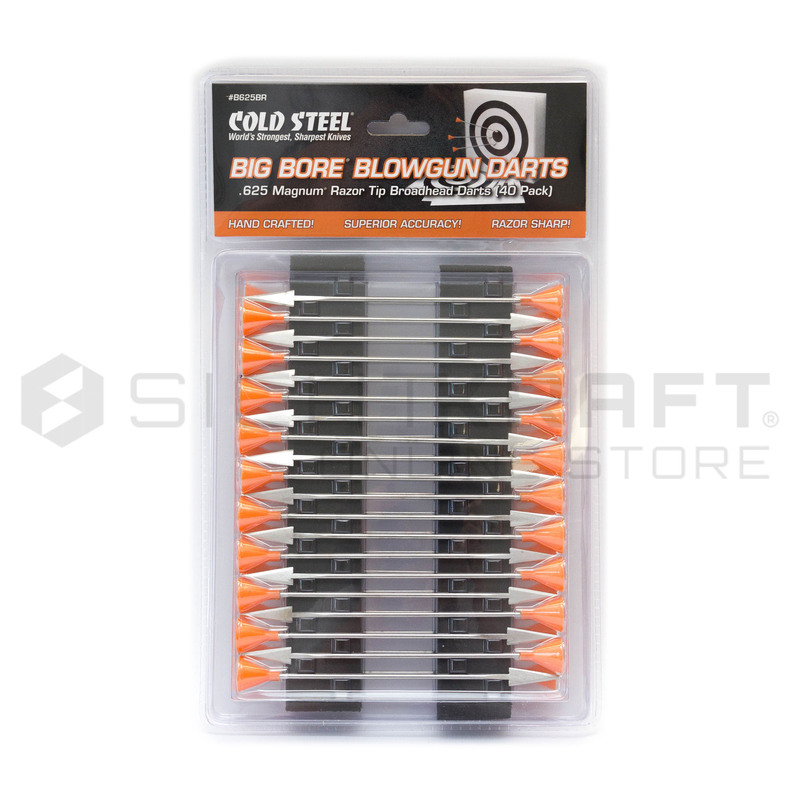 As the Cold Steel blowguns are actually quite powerful, we suggest using a quality target or your darts will go through sooner than later. 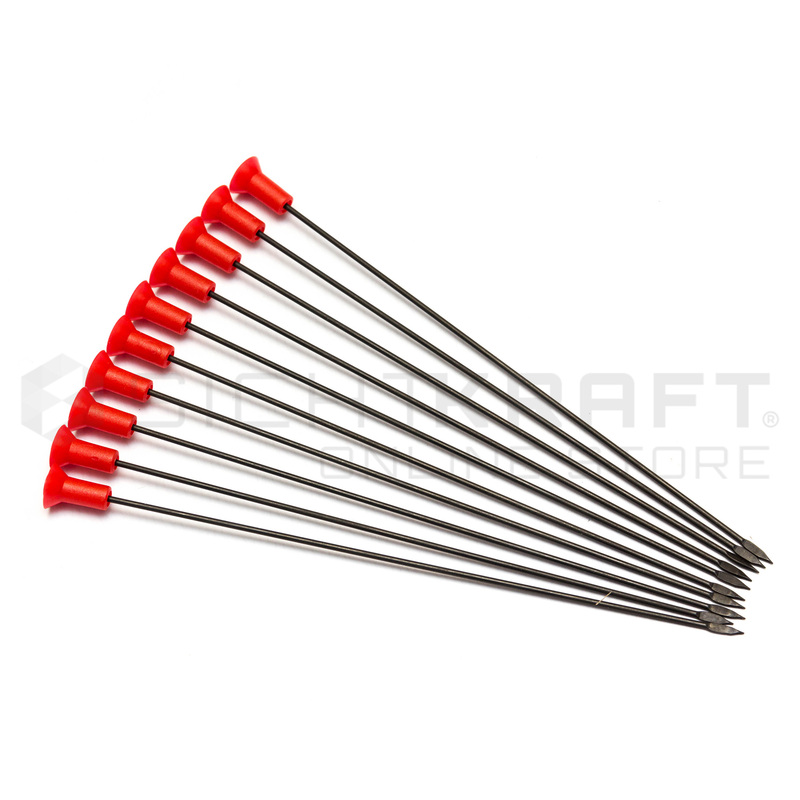 The Avalon foam targets work great with all the various Cold Steel darts, but have in mind that the razer-tip broadhead darts are really designed to do damage, and that goes for small game as well as for the foam targets. I hope that this overview helps you with your decision. If there is anything else, please let us know. 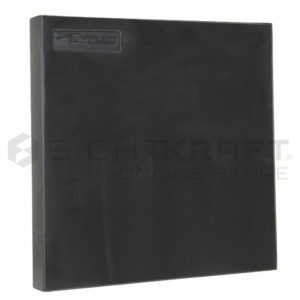 We are available weekdays 9 am to 6 pm via phone: +49 241 5570 5562 or at all times via email: mail@sichtkraft.com. 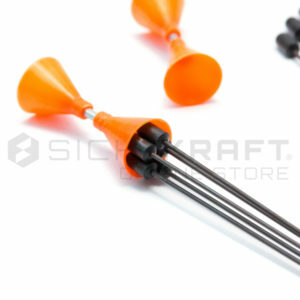 Thank you and happy blowgun shooting!